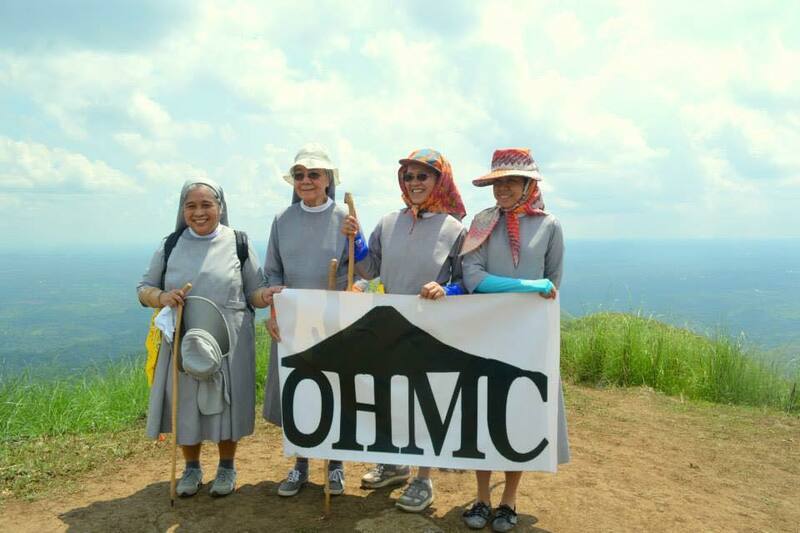 Four nuns from the St. Paul Hospital, Cavite, hiked up Mt. 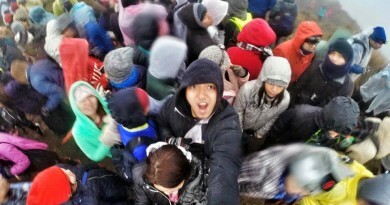 Talamitam last Saturday to raise funds for cleft lip and cleft palate patients. 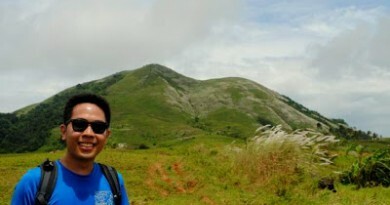 They were assisted by hikers from One Hike Mountaineering Club. Mt. 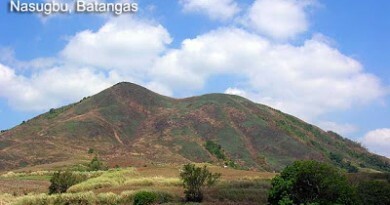 Talamitam is a 630-meter mountain in Nasugbu, Batangas known for its open grassland slopes, scenic views, and a relatively sleep final ascent to the summit. Aside from the noble cause, it is very inspiring to see the nuns climb the mountain. Sr. Aurelia, was the oldest at age 77, followed by Sr. Arclita was 61, Sr. Anna, 49, and Sr. Rachel, 34. “Nagulat po ako akala ko hndi nila kaya but they proved me wrong,” says Joseph Felix, a member of the OHMC. He added that many hikers in Talamitam were touched by the nuns’ effort to climb the mountain. 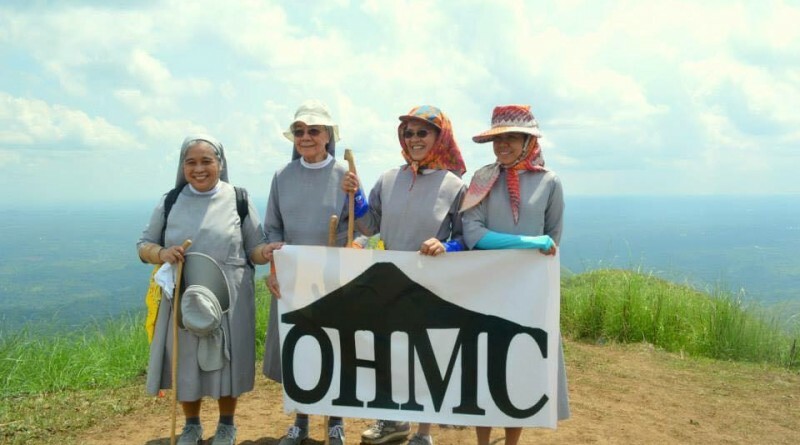 Kudos to the good sisters, to the One Hike Mountaineering Club for assisting them in this effort, and Joseph Felix for sharing this heartening story! Indeed the mountains have the power to inspire us, and the mountains can also empower us to inspire others. 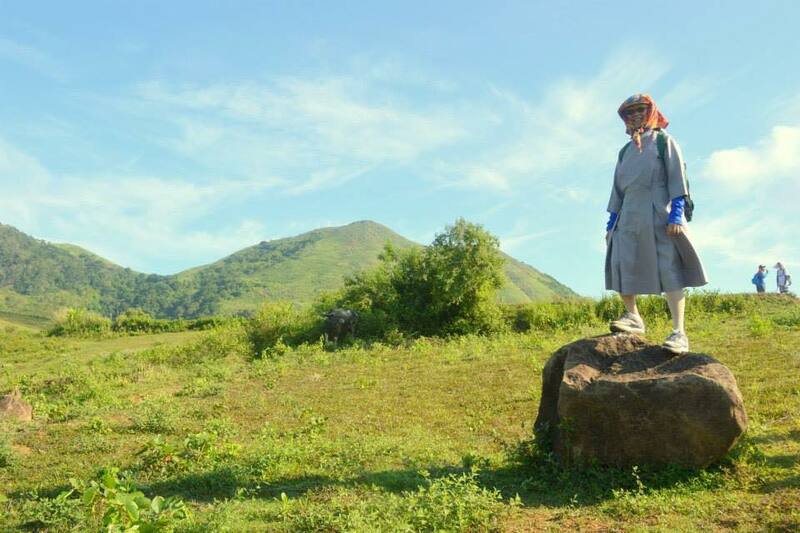 4 Comments on "Nuns, including 77-year old Sister Aurelia, climb Mt. Talamitam for a cause"
Good job! Pero naiinitan ako sa suot nila… Hahaha! Very well! So inspiring story for a cause.